Navigating your way through the confusing and sometimes deceptive world of hair restoration can be a difficult process to do on your own. Many companies push products that do not work or outright claim to “cure” hair loss without FDA approval or reputable clinical trials. Once you finally weed through all of the outrageous claims and false promises to figure out what reliable treatments are actually available, understanding the dense and complicated language surrounding hair restoration can make the process even more difficult. At Carolina Hair Center, Dr. Cooley and our staff are here to answer all of your hair loss questions and create a treatment plan that restores your hair to its youthful thickness. If you have decided to receive hair transplants or are interested in learning more about the procedure, then read on to discover the important differences between follicular unit extraction (FUE) and follicular unit transplantation (FUT), the two main forms of modern hair transplant surgery. 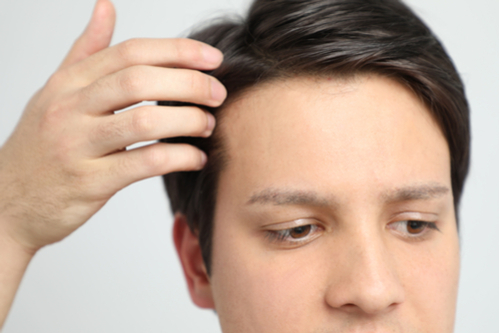 Older hair transplant procedures used to remove large “plugs” of hair and relocate them to thinning areas of the scalp, creating small clusters of hair growth that looked completely unnatural. The telltale and infamous signs of hair plugs sometimes dissuade patients from pursuing hair transplants as a viable means of hair restoration, but modern procedures have made great advancements. FUE and FUT are able to create natural and seamless results that are indistinguishable from surrounding hair and produce no obvious signs of the procedure. During both procedures, individual follicular units are removed and separated from healthy areas of the scalp. Each follicular unit contains one to four strands of hair. Once they have been harvested, Dr. Cooley then transplants them one at a time into the balding areas of the scalp, taking great care to make the final product appear just like your original hair. What’s the Difference Between FUE & FUT? While both procedures have much in common, their differences are important to note before deciding which method is right for you. During FUE and FUT, healthy follicular units are transplanted individually to recreate a youthful hairline and fill in bald spots. The manner of transplantation used during both procedures is identical, but the method of harvesting the follicular units varies greatly. During FUT, a strip of the scalp is removed from the back or side of the head, and the scalp is sutured closed. The follicular units in the strip are then separated from the surrounding tissue for use during the transplantation portion of the process. This method results in a thin, white, horizontal scar that is easily hidden by surrounding hair growth. For most patients, the scar is not an issue and is camouflaged once their hair grows around it. For patients who like to keep their hair short or only require a small number of transplants, however, FUE may be preferable. Rather than remove a strip of the scalp to produce grafts, FUE focuses on harvesting the follicular units individually using a punch device. The device is pressed into the scalp to remove a small circular graft of hair that can then be transplanted later on. FUE allows Dr. Cooley to pick and choose donor sites to ensure he does not deplete a single section of hair. FUE also does not result in a large scar, although some small circular discolorations may be visible when wearing your hair short. FUE and FUT procedures are routinely performed by Dr. Cooley and hair loss experts everywhere. They can both produce transformative and long-lasting results with minimal side effects, risk and downtime. Which method is right for you ultimately depends on the state of your hair, your desired results, the advice of your hair loss surgeon and sometimes just your own personal preference. FUT works great for most patients, although you may want to avoid the procedure if you tend to wear your hair short. Patients who have already undergone a hair transplant procedure may also wish to avoid FUT if their scalp is too tight from previous strip removals. FUE is a great choice for patients interested in a smaller amount of restoration since the exact amount of grafts needed for the procedure will be harvested. If you have a noticeable scar from a previous FUT procedure, FUE can also be used to fill in hair around the scar without creating additional scarring. The results from both methods are essentially identical, except for the scar that FUT leaves behind. FUT does require a recovery that is a bit longer and more uncomfortable due to the strip removal, however. Either way, you can expect to receive life-changing and natural results from both methods of modern hair restoration. At Carolina Hair Center, we provide hair restoration made simple. We aim to make our procedures and treatments accessible and understandable to you, so you know exactly what can expect out of your treatment. Dr. Cooley finds passion in helping his patients recapture their self-confidence by rebuilding their hairlines. Dr. Cooley will take the time to educate you on the hair transplant process and answer any questions you may have during an in-person consultation. To schedule your appointment with us and begin your hair restoration journey, call today at 704-542-1601.